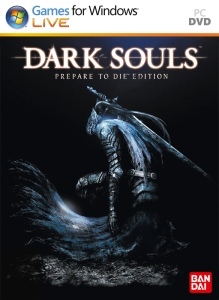 Dark Souls Games for Windows version. From Software is already wowing gamers with Chromehounds, its first Xbox 360 project, but another, even more impressive mech title is ongoing concurrent development at the company. First announced under the name Project Force at Sony's PlayStation Meeting in July, Armored Core 4 showed its true form at the Tokyo Game Show as an Xbox 360 and PS3 mul.. Experience one of the first true next-gen RPG adventures. Developed exclusively for the Xbox 360 computer and entertainment system from Microsoft, Enchanted Arms, a best-selling RPG in Japan, now finally arrives in the U.S. Embark on an epic RPG adventure and escape to a fantasy world filled with beautiful cinematic-quality graphics, u..